i am so very pleased and privileged to have had Amber Petersen come into my life. this woman is strong and capable, definitely an individualist but at the same time an amazing and supportive part of a team. by day, Amber pays her bills by reproducing oversized things. enough said. but, i’d guess her daytime persona simply provides the means to her passions – woodsmoke and cold beer, atv’s and cabin living, snow mobiles and chainsaws, self reliance and sheep in need of shearing. she is fiercely active, perhaps a tad hard on herself, and smart as a whip. amber started kbell jam with the very first session i launched in january 2013 and she is still around, tossing big ol’ kettlebells, and spreading work-hard love and the essence of effort. i love her. 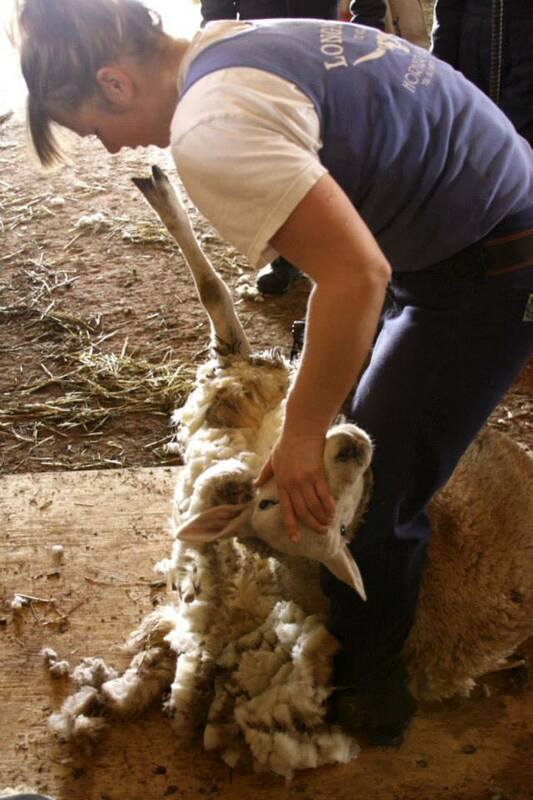 Amber shearing sheep. A highly skilled and dwindling art which requires strength and stamina. I have been aware of the need to work out since a fairly early age. I’ve never been greatly overweight but always a little chubby, so I have always been aware of the need to stay active. In recent years I was doing a lot of at-home workouts (P90X and the like). However, in December of 2012, I found myself in a slump and I was struggling to get motivated, so I decided to try a new class. That class was called Kbell Jam. 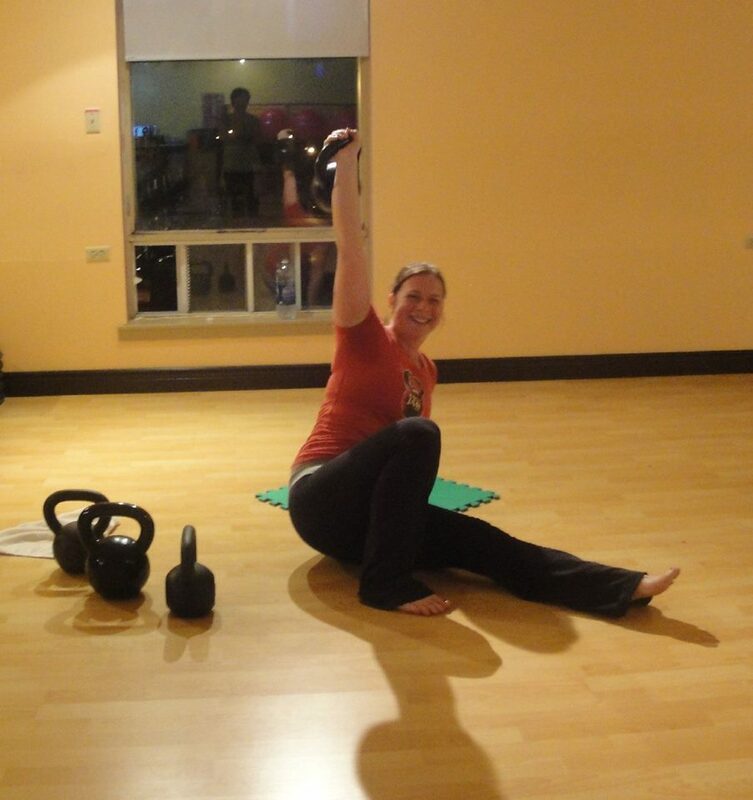 I was completely new to Kettlebells and to the whole way health & fitness and Wendy. I took one kettlebell skills clinic to get acquainted with a kettlebell and decided to sign up for 8 weeks to see how it went. I’m a pretty outgoing person, not exactly the shy type. But all the same, I was a bit nervous starting out. I was grateful to be able to “blend in” in the class at first. I was able to pick a spot and a kettlebell and stay in my little area to complete the guided workout. Wendy was awesome, she’s encouraging and she’s knowledgeable especially about kettlebells and movement techniques. Right away I clued in to the combination of cardio and strength that kettlebells provide. As someone who enjoys strength workouts but could really use more cardio, I much appreciated that! More bang for your buck! I think it was at week 5 or 6 that I had decided I needed to extend my 8 weeks to the full 12 weeks. You see, in week 5 the format changes, we were separated into small groups. And the change also . It forces you to use the heavier ‘bells for certain exercises; it challenged my body in a new way. I also was able to get to know some of the other people in class thanks to the small groups. Fun, friendly competitions were born as we egg each other on (even to this day) to push ourselves to a healthy limit. Every class is something different and although I have read about muscle confusion and why it is important, I more just appreciate this out of a LACK OF BOREDOM … you just never know what to expect. After the 12 weeks were done I immediately signed up for another 12, and now I can’t seem to stop! Although it is sometimes offered at different times, I love the 6 am session: get it done and out of the way, ready to start the day type workout. I love the girls in class. I enjoy watching the others grow as they move through the 12 weeks, starting with small ‘bells and progressing to using some of the heaviest ones! This year I signed up for 2 concurrent Kbell Jam sessions, putting me at 4 days per week. I have lost 7lbs in the 12 weeks. And one full size. This may not seem like much, but as someone who loses and gains quite quickly, and also was not dieting at ALL during that time, I think it says a lot. In fact, I credit Kbell Jam alone for this weight loss. I find the functionality of kettelbell workouts to be amazing. 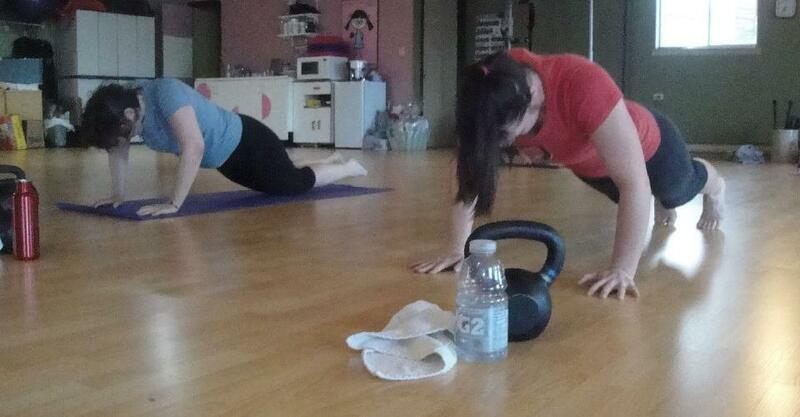 I’m pretty physically active and find that training with kettlebells has made my day-to-day activities much easier. Last week I finished off another 12 weeks of Kbell Jam and now am trying a NEW Kettlebell class. I’m quite excited about it, and more than addicted to kettlebells! food. 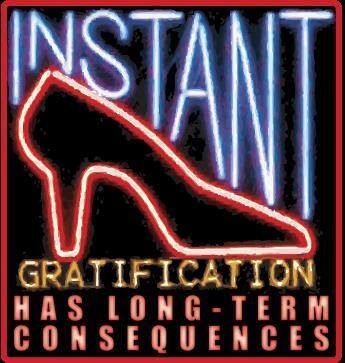 strip away the politics of corporate interests and you’ll find health and well being interests. create change in your life and that of the people around you. In January I contacted the Lifestyle Editor of The Guardian, our provincial newspaper. 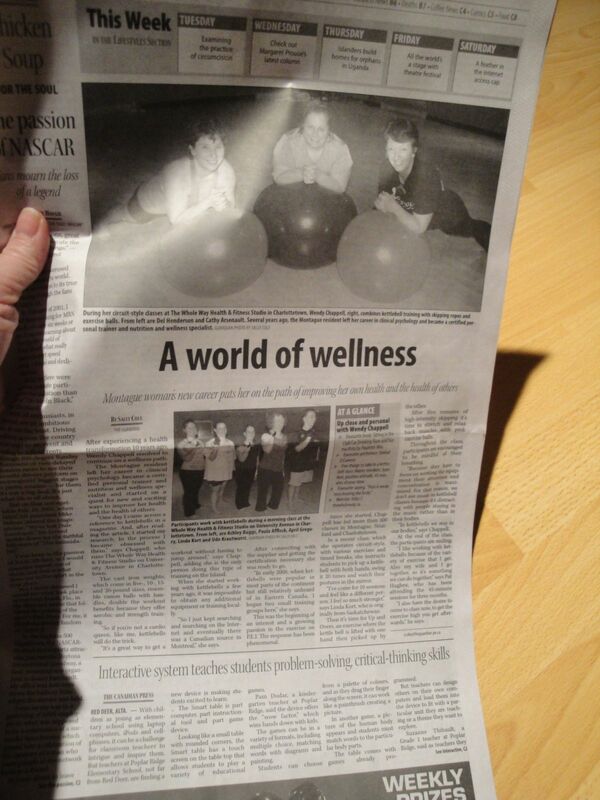 It was the second anniversary of kettlebell training in Prince Edward Island and I thought the event was worthy of a bit of media coverage. The Lifestyle Editor agreed, assigned it to reporter Sally Cole and Sally subsequently contacted me to begin her education in kettlebell training, giving this form of training some great exposure in the local press. Last week Sally contacted me to say the story would be printed on Monday of this week (yesterday). When I got up yesterday I went on-line and read the nice write up she had given kettlebell training and was tickled with the studio-friendly press she had offered me. Pleased I was. I was not prepared for the amount of interest the story generated. During the day lots of phone calls and many emails arrived. So much interest in fact that I have scheduled three Kettlebell Skills Clinics this week where I have been offering only one per week for the last six weeks. Later in the day I looked at the paper version of the story. Well, no wonder it caught people’s attention! Sally and her Editor gave the story the front of the C Section and about 3/4 of the page, two photos and a well sized heading. Not only that, there is a small colour photo and story title on the top of the front page! This is an amazing layout! Wow! I am overwhelmed by this kindness and so very grateful for such expansiveness. Thank you Sally, Carolyn and The Guardian. You’ve helped bring about a broader awareness of fitness and training options to this wonderful Island community. Normally a voracious reader, I have been slow creeping through books of late. My work schedule is delightfully hectic and wonderfully demanding these days, providing me with long days and end-of-day sleeps which arrive fast and fierce. Take for example last Sunday evening. I was physically exhausted by early evening and thought an early curl in bed, deep under my old comforter, with my book (and 3 ounces of white wine) would give me great joy. So at 7:30 I snuggled in, book at bedside; and that is precisely where it remained as I fell into an immediate rabbit hole of snooze oblivion. 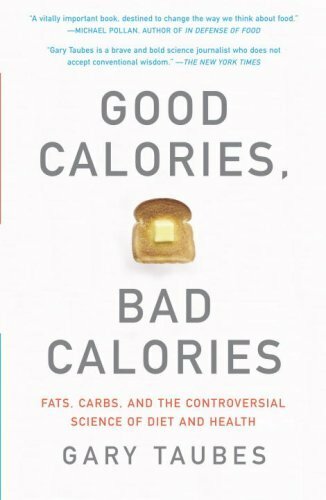 I’ve been reading Good Calories, Bad Calories: Fats, Carbs and the Controversial Science of Diet and Health; researched over a 7 year period, well documented and written by journalist Gary Taubes. It is the type of book which I really enjoy reading and I appreciate the comprehensive review of the diet/nutrition/health literature which Taubes summarizes in the book with a critical eye to research which never made it into the mainstream knowledge base of the industry let alone the culture. There are many good things in this book. I just wanted to quote a section for today, one which in a small, perhaps tangential way reflects some of what I frequently wonder about this industry in which I am immersed. How does my work fit or not fit in to the larger picture of health and wellbeing in our society? Am I part of the solution or part of the problem? Do I contribute, in a sensible way, to a move toward improved quality of life or am I just one of many trickles which make up the deluge surrounding, and maybe integral to, declining health measures? Do I feed an obsession with body image, calorie counting, weight loss/management and self esteem? Do I provide a service which further fragments and compartmentalizes bits of our wholeness? These are tough questions for me and I crave resolution of them, though I fear the same. Why do we need a ‘fitness industry’ or a ‘diet industry’ or a ‘self esteem industry’? Can they only exist if somehow we contribute to their very perpetuation? Why do we entertain proposals like Jamie Oliver‘s wish to use institutions (schools, governments, etc) to teach our children to recognize vegetables or learn to cook? Why do I conduct workplace wellness presentations suggesting the workplace as an important setting for supporting physical activity? Why do some believe a ‘sugar tax’ to be a viable means of shifting eating patterns? I entertain a gnawing sensation that somehow I — we — are missing something. I haven’t figured it out for myself, but I do spend regular time pondering what I believe to be a paradox, a misdirect, or perhaps a disconnect between a healthy world and the industries which have cropped up in response to our diminishing health. Population-wide assessments of physical activity are also difficult to make in any meaningful way. Those research agencies that traditionally study such things…have no evidence that would shed light on physical activity during the decade in which the obesity epidemic began. They do have evidence suggesting that Americans were no less active at the end of the 199os than they were at the beginning of that decade, despite the continued rise in weight and obesity throughout this period. We know, too, that the obesity epidemic coincided with what might be called an exercise or sports epidemic in America, accompanied by the explosion of an entire industry dedicated to leisure-time pursuits. It’s worth remembering that in the 1960s Jack La Lanne was the nation’s only physical-fitness guru, Gatorade existed solely for the use of University of Florida football players, and skateboarding, in-line skating, snowboarding, mountain biking, power yoga, spinning, aerobics, and a host of other now relatively common physical activities had yet to be invented. To put this in numberical terms, this was an erea when the revenues of the health-club industry were estimated at $200 million per year; in 2005, revenues were $16 billion, and nearly forty million Americans belonged to such clubs. Another apparent contradiction of the notion that either sedentary behavior or prosperity or a toxic food environment is the cause of obesity is that obesity has always been most prevalent among the poorest and thus, presumably, harder-working members of society. In developed nations, the poorer people are, the heavier they’re likely to be…In 1965, Albert Stunkard and his colleagues at New York Hospital reported that they had surveryed 1,660 New Yorkers and found that obese women were six times more common at the lowest socioeconomic level that at the highest. Thirty percent of the poorest women were obese, compared with 16 percent of those of “middle status” and only 5 percent of the richest. The poor men were twice as likely to be obese as the rich (32 percent to 16 percent). These observations have been confirmed repeatedly throughout the world, in both children and adults. Because poor and immigrant populations are considerably less likely than wealthier, more established populations to own labor-saving devices, and because they are more likely to work in physically demanding occupations, that poverty is a risk factor for obesity is another compelling reason to question the notion that sedentary behavior is a cause.